or a 4/6 with Taunt. Cat or Bear? Cat or Bear?! I just cannot CHOOSE! 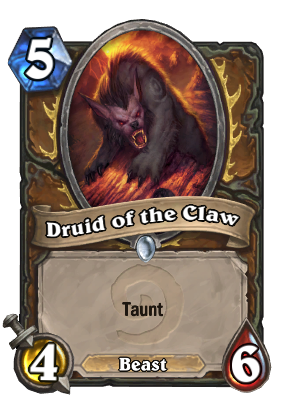 One of the best Druid cards, IMO! But time has changed Malfurion. 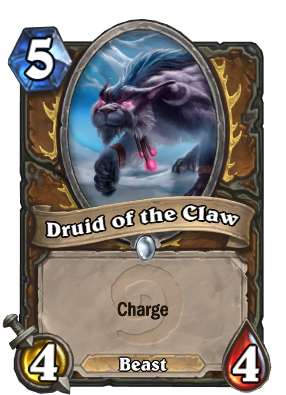 Rarely any Druids now use it in 2017. Jade Golems and Living Mana Treants dominate the class now. Currently says: Choose One - Charge; or +2 Health and Taunt. What it should say: Choose One - Transform to gain Charge; or +2 Health and Taunt. This card is absolutely fantastic. As a Taunt, it's better than Fen Creeper and as a Charge, it's better than Kor'kron Elite. Better still, having the ability to choose what is best for your given situation just adds to the value of the card. 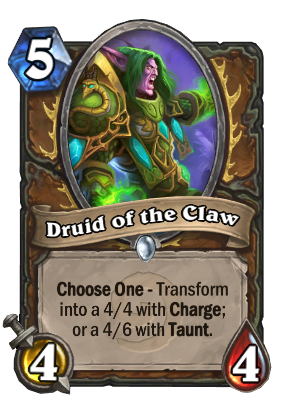 It's definitely among my favorite Druid cards, and better still, it's common, so if you're having difficulty getting it from packs, it's cheap to craft with Dust! 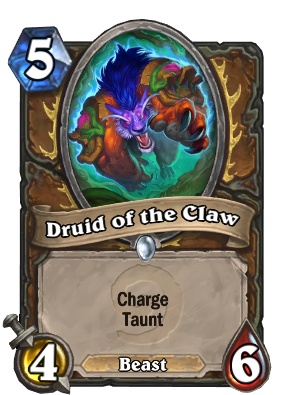 How often does anyone choose Charge over +2 Health & Taunt? I've gotten Charge to work a few times for lethal or to setup lethal, but 99% of the time Taunt just seems like the overall better choice. Am I missing out on some hidden combo/tactic or is this the case for others as well? Sometimes is better the charge if your opponent is a mage or another class that has several removal spells because if your cat gets removed, at least you get 4 damage. This card fits perfectly with Druid's theme of versitality. A common that's better than most rares. Bear Form is strictly better than Fen Creeper, and Cat Form is a slightly sturdier, slightly more expensive Kor'kron Elite... not to mention you choose which one you get! It's not a flashy card by any means, but it doesn't need to be.